Ok, lets see if we can size up the situation. 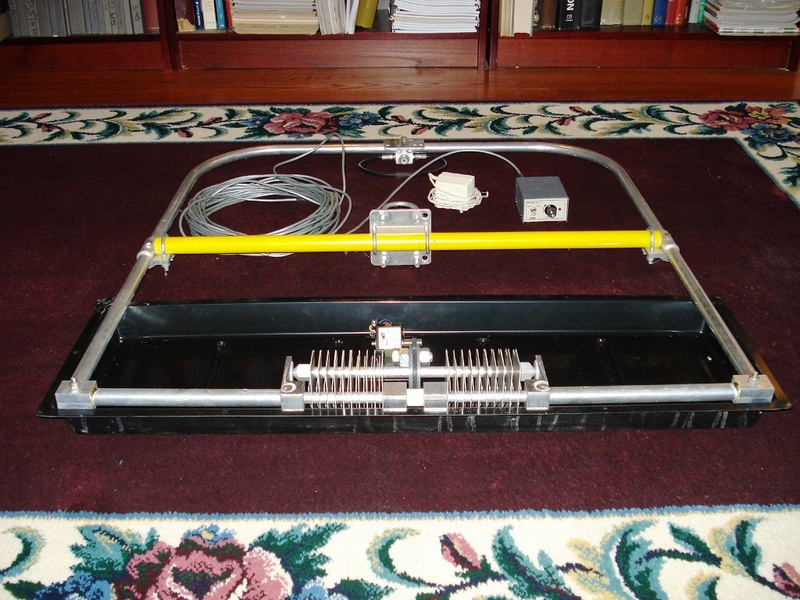 How about a weekend project to build your own HDTV Digital TV antenna ?? Kent Britain, WA5VJB, has great weekend construction project for you. Kent writes antenna columns for CQ, CQVHF, and Popular Communication plus a microwave column for the German magazine DUBUS. So. there you go – how much better can it get than that? This is from the “I’m not paying attention department”. When I wrote the article on the AES IsoLoop I didn’t know that MFJ Enterprises has a wide selection of small transmitting loop antenna tuners. The biggest challenge in building the small transmitting loop is not the wire loop – it’s getting the tuning capacitor. The images I posted in the AEA Isoloop article showing homebrew loops showed that most of the capacitors used in those homebrew loops were “ham fest specials” or from the junk box. 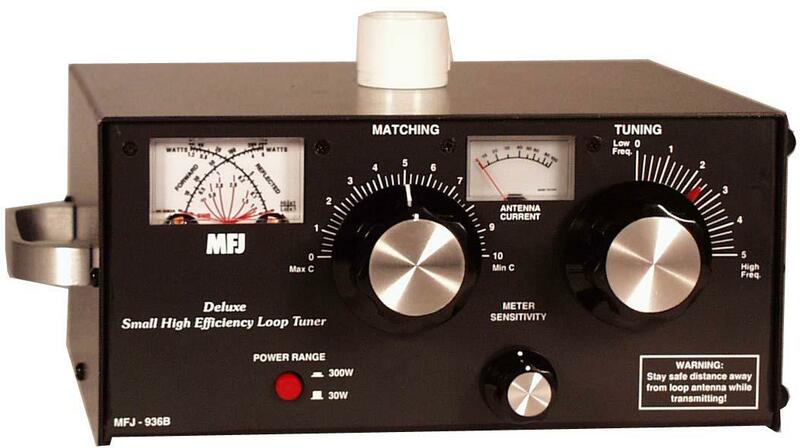 MFJ Enterprises solves the problem of getting the capacitor for your loop antenna. They have an number of loop tuners from $160 to $260. 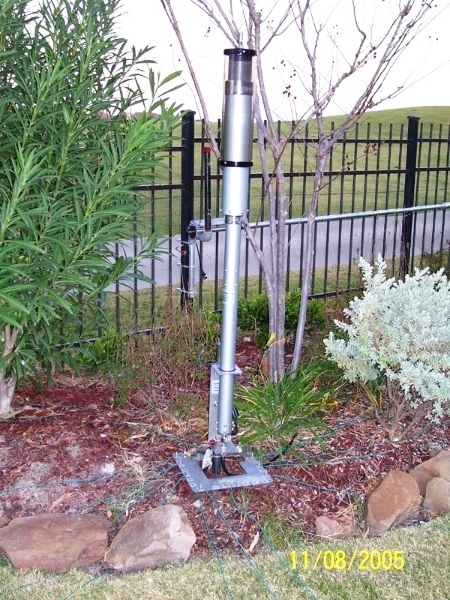 The $160 model covers 160m to 10m and handles 50 watts. The $260 model which also covers 160m to 10m can handle 300 Watts and has a built-in SWR Meter as well as loop current meter. I don’t know what significant parts are inside the $160 model other than the tuning capacitor but $160 seems like a lot of money for a box with a capacitor and a few other parts and no tuning indicator (loop current meter). I can’t remember exactly how much I paid for the AES Isoloop. It was about $329. So. for another $70 or so what I got in addition to the (expensive) tuning capacitor is the stepper motor which allows remote tuning. Why remote tuning? Watch out for the RF! I am not sure how it got it’s name, but if you have a Texas Bug Catcher antenna mounted mobile you are bound to pick up a few – bugs that is. If you have an air coil then cleaning those bugs out of there could be a chore. Much safer is to mount the Bug Catcher in a stationary location. Yes, it is possible and I have gotten good results. 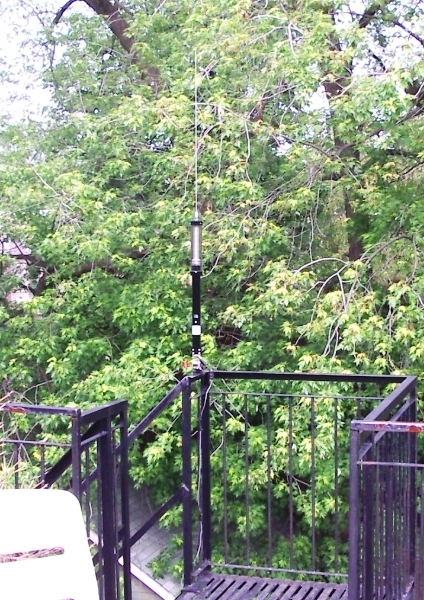 Perhaps it’s overlooked, but a Texas Bug Catcher makes a good portable antenna, limited-space antenna, and a good stealth antenna for those communities where antennas are considered an eyesore. I been using a Bug catcher for more than a decade. I first used it on a balcony bolted to a steel railing in a Chicago high rise on the 40’th floor – 400 ft up. 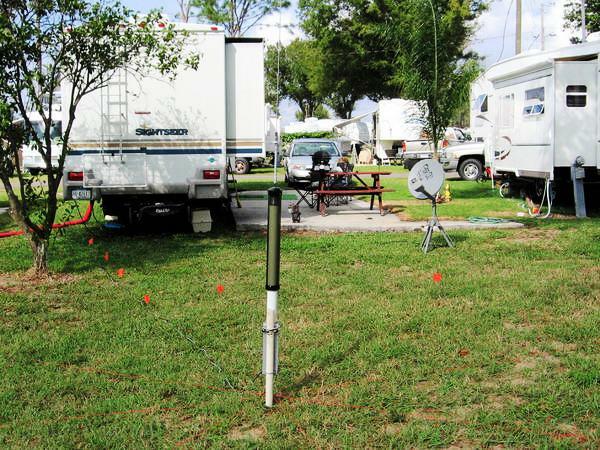 When I moved to a location on the ground I used it in the backyard and on camping trips. If you take a look at the Bug Catcher you can see the pain points of this antenna – it has taps. Yes, it’s “continuously tuneable”, you can set the taps any place you want. But after you have the tap points set – that’s it – those are the taps points you use until you change them. First, the tap points will be the only ones you can use until you change them. Second, finding the tap points can be painful. Heaven help you if you don’t have an antenna analyzer. It is going to be a long process of set-and-test until you find the tap points of the center points of the band portions that you want to work.